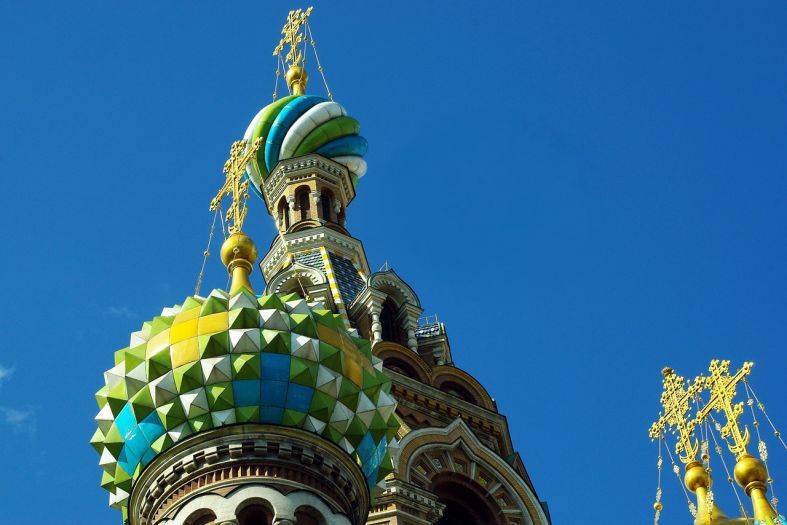 Many cities have been nicknamed Venice – the Dutch Venice, Portuguese Venice, African Venice… However, St. Petersburg is the only one that can actually compare to, and perhaps even surpass the Italian destination. A walk by the Neva River: During the day, you can take a walk around the beautiful parks that complement the Neva River, and at night – enjoy the sparkling lights of the city, the passing ships, and the drawbridges. You will also see the Winter Palace, the Hermitage Museum, the Peter and Paul Fortress, as well as the gilded domes of many churches. You can also tame the river s waves, by going on a boat trip and enjoying a romantic dinner on board. State Hermitage Museum (Государственный Эрмитаж): What once was the winter residence of the royal Romanov family is now the largest art gallery in the world. In 1764, Catherine the Great created a museum, where she displayed here personal art collection. Today, the Hermitage houses over 3 million pieces of art, displayed on a territory of over 46,000 km2. You ll see works by Michelangelo, Da Vinci, Rembrandt, Picasso, Monet, Van Gogh, and many more. It is located in the palace s main square. Here you can find the exact address, visiting hours, and ticket prices. The Palace Square (Дворцовая площадь): This is the city’s main square. It houses the Winter palace, a few churches, the headquarters of the Russian army, as well as the column of Alexander the Great, erected as a celebration of Napoleon’s defeat, in 1812. 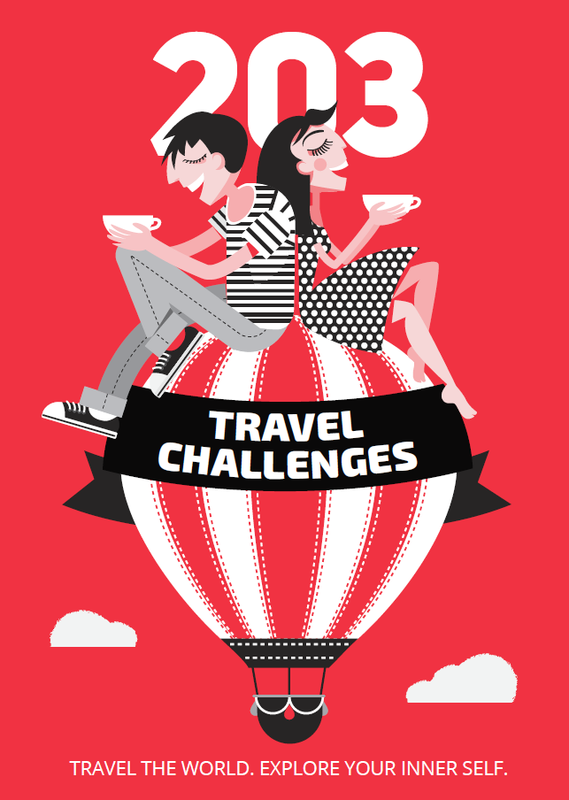 Take a walk and experience the rhythm of the city, become one with the hurried crowds of people, or simply take a cup of hot tea in one of the cafes. Saint Isaac’s Cathedral (Исаакиевский собор): The church’s large dome is covered by 100 kilograms of gold. Its interior is lavishly decorated in mosaics and murals, and behind the main altar is a stained glass display with the resurrected Christ. The walls and floors are covered in Russian, Italian, and French marble, in 14 different colors. The cathedral s construction was completed during the 19th century. Don’t forget to climb the 300 steps leading up to the cathedral’s top where you’ll find a mesmerizing view of the entire city. The cathedral is located close to the West end of Nevsky Prospect. Marrinsky Theatre (Мариинский театр): This is one of the best theaters, of opera and ballet, in the world. It began to host performances in 1860. Its stage was the place where many of Tchaikovsky’s creations premiered. The main hall is U-shaped and sits 1625 people. The theater is located in the West Mariinsky district. Yusupov Palace (Юсуповский дворец на Мойке): See the luxurious apartments, numerous paintings, and the emperor’s chambers. The palace’s halls often host classic music concerts and plays. In this palace, in 1916, the spiritual guide of Nicholas II – Grigori Rasputin, found his death. Today, this occurrence and the subsequent events have been recreated in the palace s museum, with the help of photographs, documents, and even wax figures. Peter and Paul Fortress (Петропавловская крепость): This is the oldest building in the city. It was built in 1703, by Peter the Great. Its purpose was to protect the city from Swedish invasions, but it never had to serve that purpose. In the fortress’s courtyard is the Peter and Paul Cathedral – the largest one in the city, and also the first one to have been crafted out of stone. Peter the Great, and all the Russian monarchs after, have been buried in the cathedral. Peterhof Palace (Петергофский дворец): Built in 1705, by Peter the Great. Apart from its beautiful architecture, the palace is primarily famous for its spectacular water cascades, numerous fountains, and gorgeous gardens. The halls of the palace have been decorated with fine art pieces, marble, lavish chandeliers, and gilded carvings. It is located 30 km outside of St. Petersburg. The Cruiser Aurora: This is a war ship that took part in battles with the Japanese Navy, and started the October Revolution. Today it is a museum. You can take a tour of both the decks and the inside of the ship, where you will find different cannons, nautical maps and tools. If you don’t hire a tour guide, you can enter without paying a fee. The ship is anchored by the shore street of the Neva River. The Alexander Pushkin Museum and Memorial Apartment (Мемориальный Музей-квартира „А.С.Пушкина”): This is part of one of the oldest houses in the city, where the famous Russian writer lived, from 1836, until his death in 1837. Here you will find household items, related to his life and work, including his personal ink pot and the original couch, on which the poet drew his last breath. Most of the other furnishings are not the originals that belonged to Pushkin in his family, but copies. Museum of Cosmonautics and Rocket Technology (Музей космонавтики и ракетной техники): The museum opened its doors to visitors in 1973. The display follows the evolution of rocket technology, from Soviet Union times, until today. You will see rocket engines, astronaut gear, and the city’s flag, which was part of the Mir Space Station for 161 days. The museum is located in the Peter and Paul Fortress. 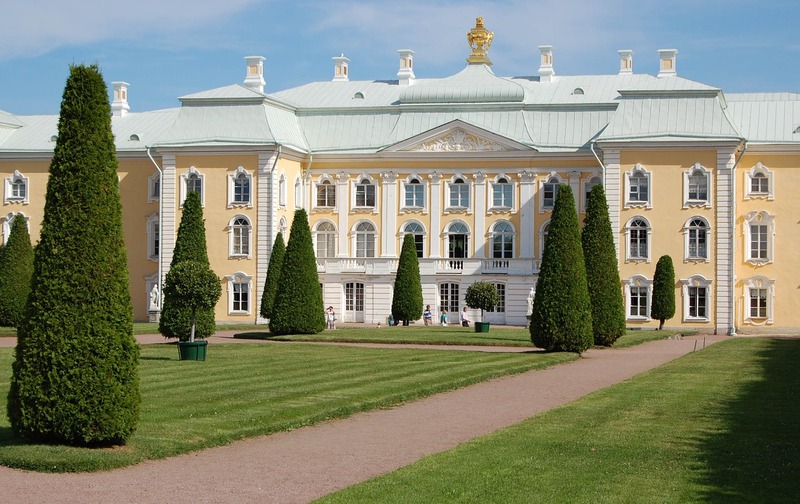 Catherine Palace (Екатерининский дворец): Located in Tsarskoye Selo (Pushkin), 25 km away from St. Petersburg. The palace was built in luxurious Russian Baroque. Alexander Palace (Александровский дворец), which Catherine the Great gave to her grandson Alexander I, is located in close proximity. In the halls of both palaces you will find bountiful exhibitions of fine art, cutlery, furnishing, and jewels, which belonged to noble families. Don’t forget to take a walk in the beautiful royal gardens. Pavlovsk Palace (Павловский дворец): This was the summer residence of the Russian emperor Pavel I. The palace was built in the 18th century. It was erected on top a large rock, 26 km south of St. Petersburg. Inside, you can see the emperor’s rich collections of porcelain, gold, sculptures, silks, furnishing, and paintings. The grounds around the palace, which once were a game park, have now been turned into a huge garden, with lakes and large meadows – the ideal place for a leisurely stroll, playing outdoor sports, or a picnic. Russian Museum: This is the first public fine art museum in Russia. It was created in 1895, by the monarch Nicholas II. Here you will find rich collections of religious icons, paintings, graphics, sculptures, as well as creations by contemporary Russian artists, famous worldwide. The museum is located on Nevsky Prospect. Museum of Water (Музей воды): Located in a water tower, which was the first one in the city and was built in 1860. Here you will have the opportunity to try different water pumps first hand, you will see ancient toilets, sewage systems, steam boilers, and an attractive multimedia display, where you will learn about the various applications of water: as a medication, as music, as mystery. The tower has a panoramic glass elevator and a viewing platform on the last floor, where you will find a wonderful view of the city. Russian Vodka Museum: We can’t talk about the Museum of Water and then neglect the Russian Vodka Museum. This is the place where you’ll learn when and where Russian vodka came to be, what to eat with it, and all kinds of other useful alcoholic facts. White Nights: Every year, from the middle of June until the beginning of July, the sun never sets. This is because of the city’s Northern geography and its close proximity to the Arctic Circle. Enjoy the magical light and the unique the atmosphere it creates in the city. However, you should also be careful, because the White Nights can cause insomnia and drowsiness. >>> Read more about the White Nights in Saint Petersburg. Eat borscht: Soups are an important part of Russian cuisine. This particular soup, always contains beetroot, meat, and cabbage. You can eat borscht both hot and cold, with whipped cream or mayonnaise. Eat pirozhki: This is dough-based dish, which can be either sweet or savory. You can find pirozhki with meat and vegetables, just vegetables, apples, jams, or cheeses. Just pick and enjoy! 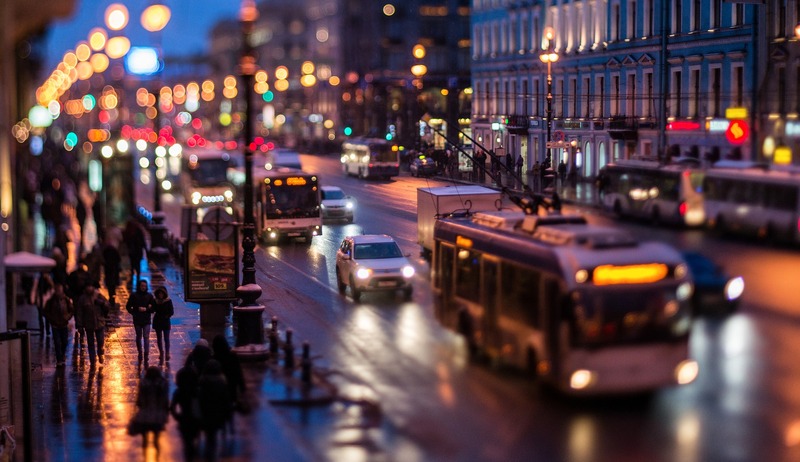 Shopping in St. Petersburg: The main street – Nevsky Prospect (Невский проспект), has plenty of luxurious boutiques, leather and souvenir shops, antique shops, galleries, as well as large bookstores with books in all kinds of languages. A typical souvenir to buy from Russia is the Matryoshka doll – it is made up of several dolls with different sizes, that fit into one another. On Bolshoi street (Большой проспект), at Vasilievsky Island, you will also find many shops, as well as outdoor markets with fresh goods. Gostini Dvor Shopping Center (Гостини двор): This is the oldest mall in Russia. Since the 18th century, it has been the primary shopping location of the city. Today, it has over 300 shops – for home appliances, clothes, jewelry, sports goods, toys, souvenirs, and plenty more. It is located on Nevsky Prospect. Nightlife in St. Petersburg: Start off the evening with a drink or a delicious dinner, then dance the night away, or simply enjoy some great live music. The main street Nevsky Prospect has many night clubs with live music, dance clubs, casinos, and restaurants. The smaller alleys in the center of the city are where you will find bars, strip clubs, pubs, bowling alleys, and restaurants serving European cuisine.